In a world that is reinventing itself every day; an organization that thinks differently creates a strong impact. Wilburg Corporation, a conglomerate envisioned to create a stir in the market is here to challenge stereotypes and break conventions with different business verticals specifically designed to cater to diverse market dynamics. With an emphasis on new business ideas, Wilburg is driven by strong business integration and is forging ahead with domain expertise in areas of Facilities Management, FreeStyle Furniture, Real Estate, Trading, Design Services in global hotspots like India, Mexico, United Kingdom & UAE. 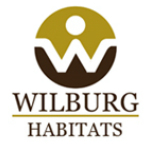 Together with a specialized team of visionaries, Wilburg is relentlessly working to script a new success story in the 21st century. Wilburg aims to create a robust organization entrenched with strong fundamentals and rooted value systems. An environment where the brand inspires and motivates stakeholders. The philosophy is to simply ‘thrive’ in all aspects of business and people motivation, in performance and in life. An altruism which will not only ease the quality of performance but also enrich people’s lives in an oasis of differentiation. From furniture innovation to facilities management to real estate and trading, the opportunities that a force named Wilburg would create would be enormous. The organization’s endeavours are aimed at creating avenues in product design, increase consumption behaviour and elevate service standards in a realm where people can excel and grow.